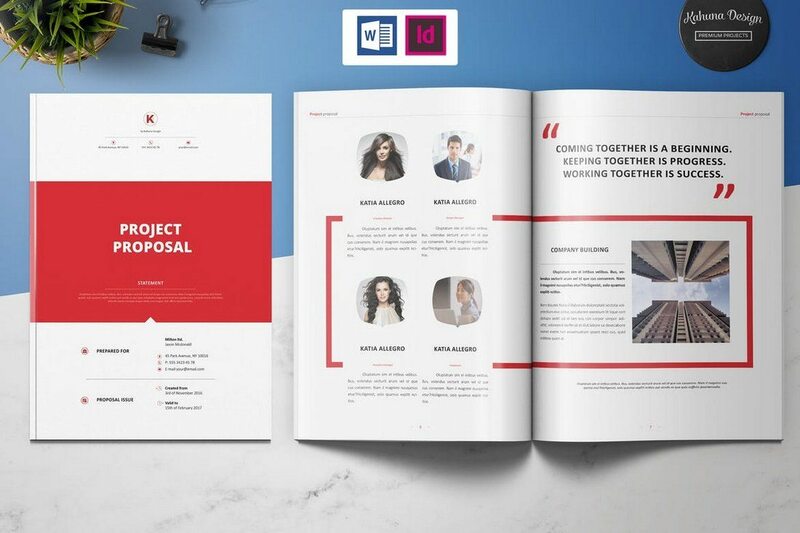 This modern brochure template is designed for professionals and agencies for creating winning project proposals with ease. The template comes in 3 different color schemes and you can edit it using MS Word or InDesign. 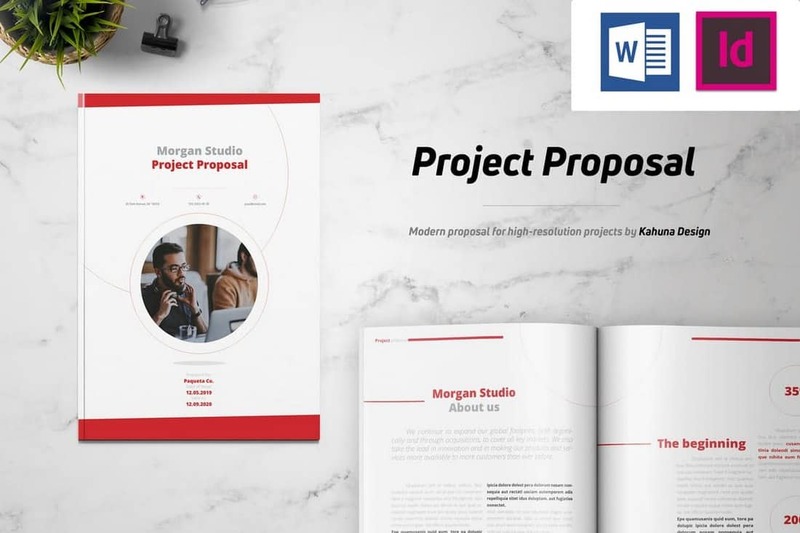 This is a project proposal brochure template you can use to design proposals for creative projects. The template features 24 page designs and comes in US Letter and A4 sizes. It can also be customized with Word and InDesign. 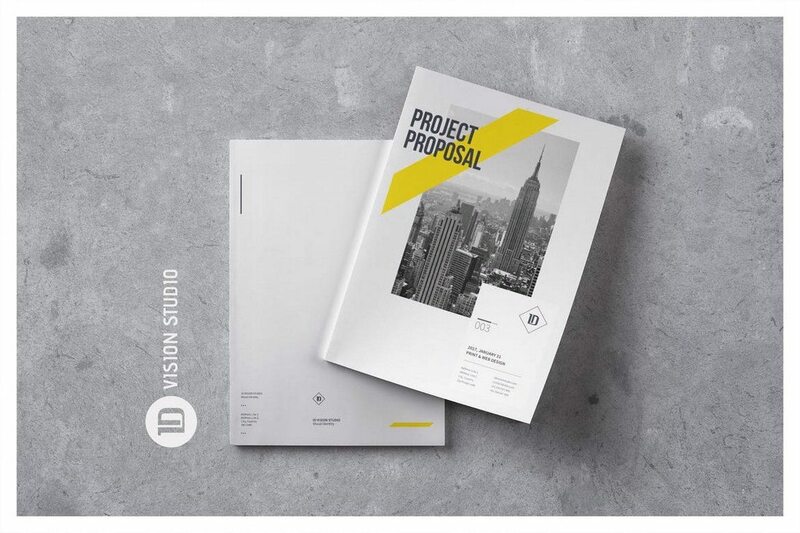 Another creative project proposal brochure template featuring a minimal and clean design. The template is easily customizable with MS Word and InDesign. It also features 24 unique page designs, a 12 column grid, master pages, and more. 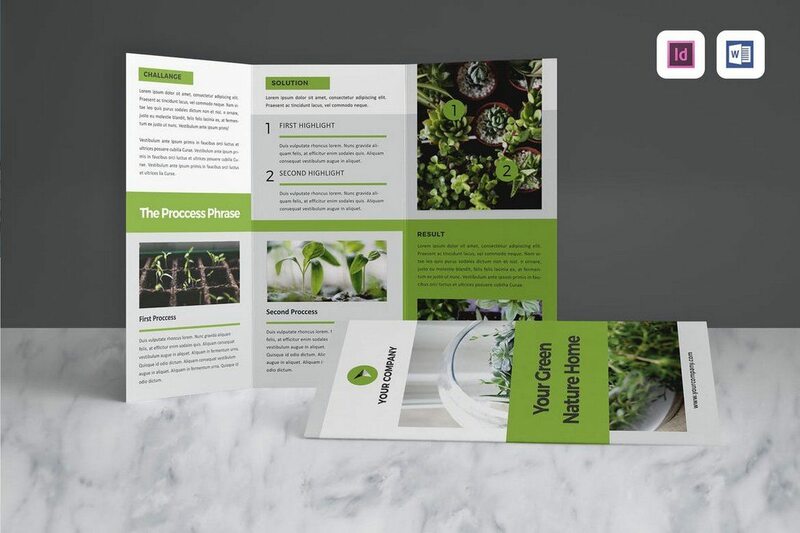 If you’re a fan of the landscape designs, this brochure template will be more suitable for creating a more attractive project proposal. It includes 24 page designs made in landscape view and comes in A4 and US Letter sizes. 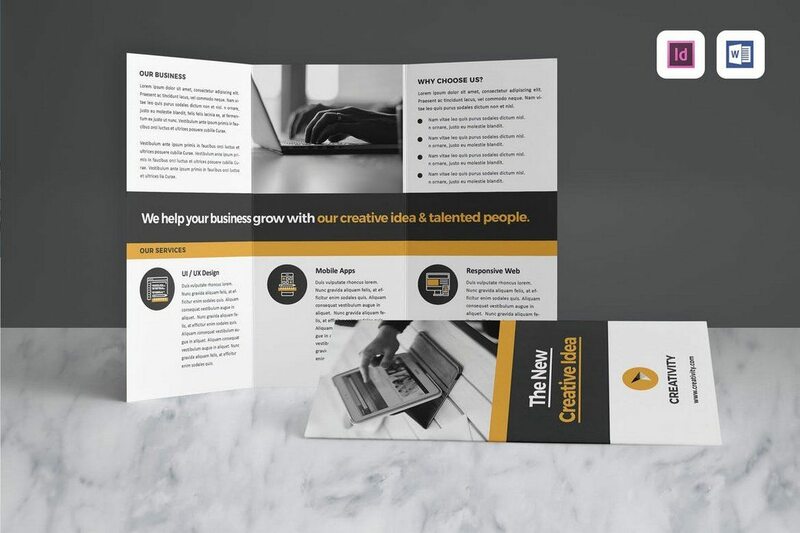 This is a tri-fold brochure template you can use to design a simple brochure to promote your business or agency. It comes in MS Word and InDesign file formats and includes an easily customizable design. 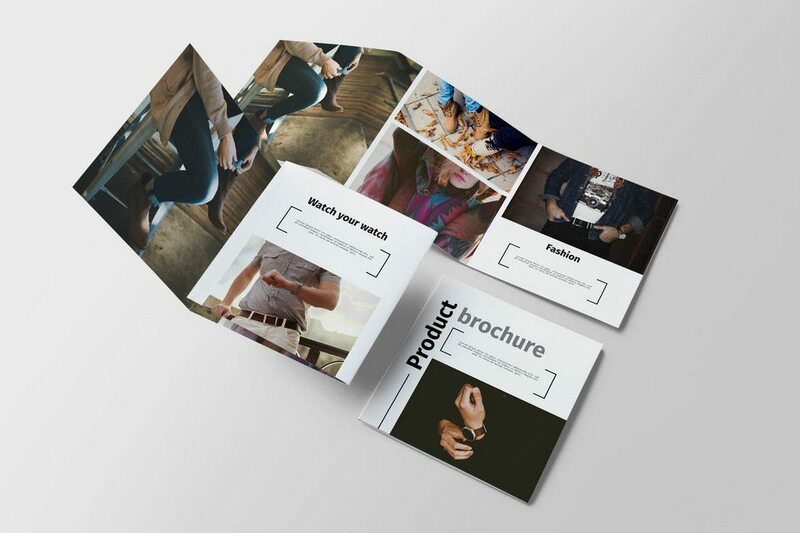 A creative brochure template made for lifestyle and fashion related businesses and agencies. This tri-fold brochure template is most suitable for making a simple leaflet to showcase your services and products. The template is available in Word and InDesign formats. The beautiful and elegant design of this brochure template makes it most suitable for promoting fashion, beauty, and other feminine products and businesses. The template comes in 20cm x 20cm size and it can be customized with InDesign and MS Word as well. 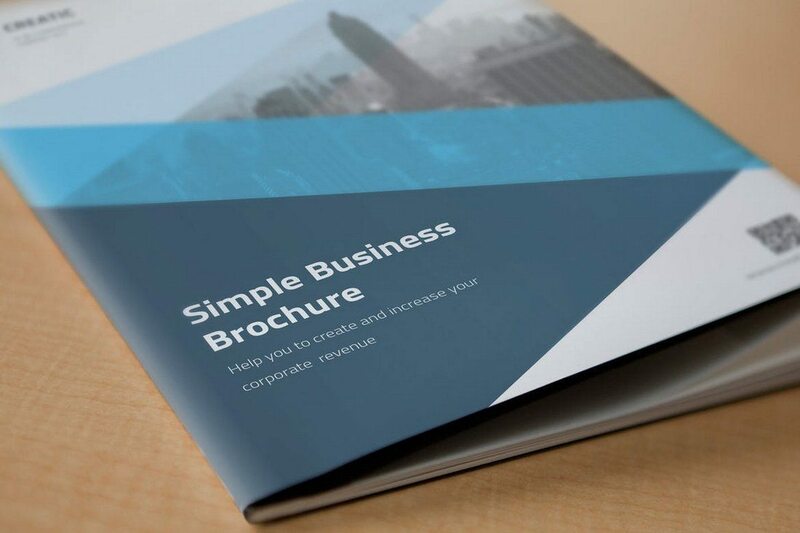 This Word brochure template is created for businesses and agencies that appreciate minimalist designs. The template is available in A4 and US Letter sizes featuring clean design and layouts. You can use it to create a professional project or client proposal. 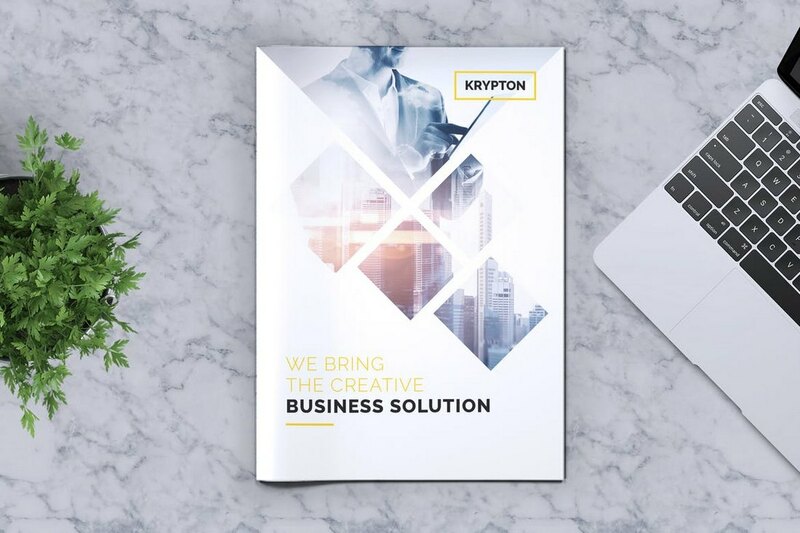 Krypton Word template comes with a modern design. 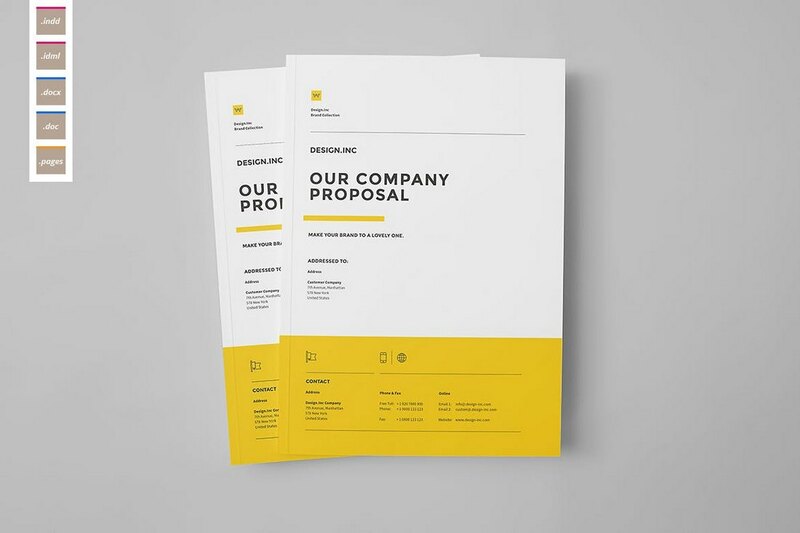 This Word brochure is ideal for creating company profiles and proposals. 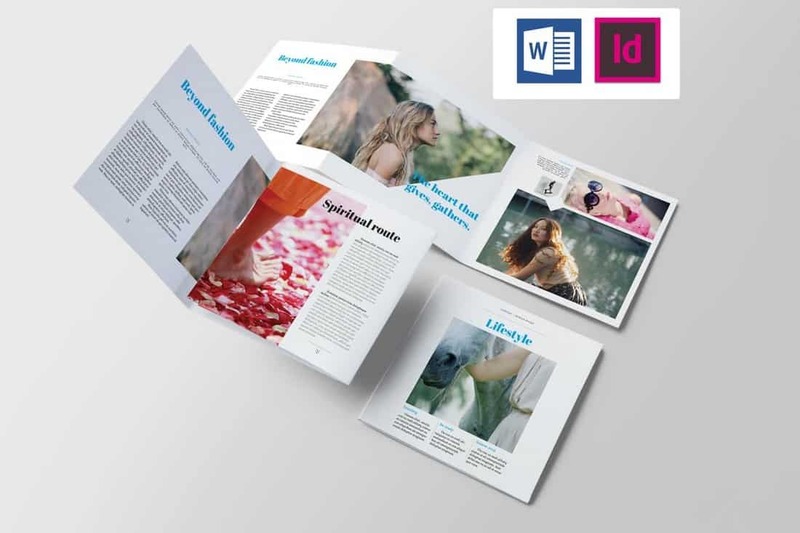 It includes 12 unique page designs and available in Word and InDesign file formats. This Word brochure template features a creative landscape design. It comes with 16 different page layouts for creating professional company profile brochures. The template is available in A5 size and in InDesign and Word file formats. 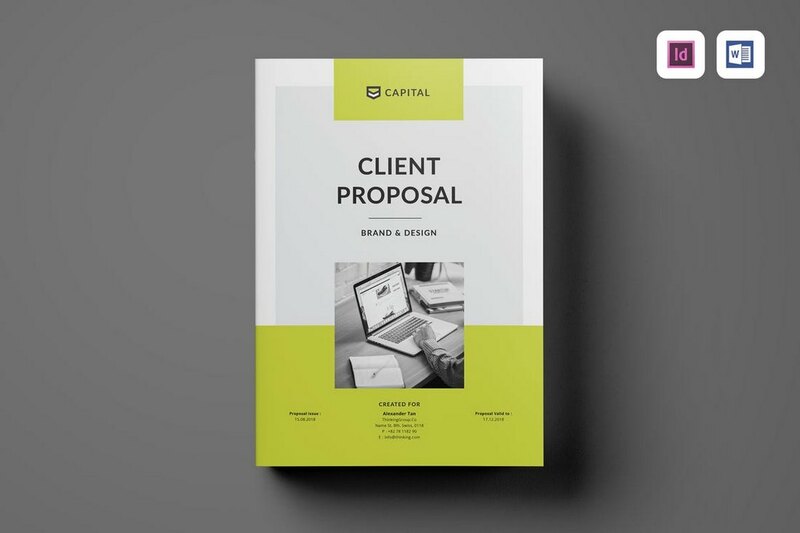 A clean and minimal Word brochure template you can use to make many types of project proposals and portfolio brochures. The template is available in A4 and US Letter sizes. You can also edit it using InDesign and Apple Pages as well. 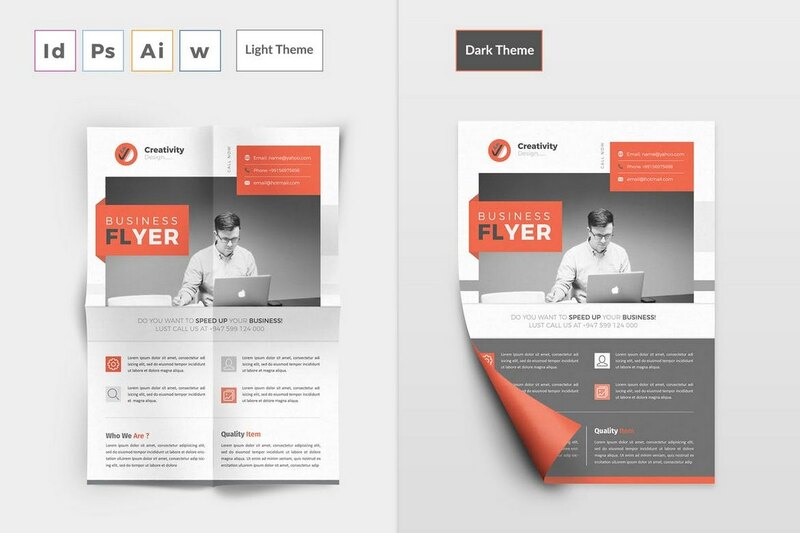 A creative business flyer brochure template. This template comes in 2 different designs featuring light and dark color themes. It’s available in A4 size and you can customize it using Photoshop, Illustrator, and InDesign as well. 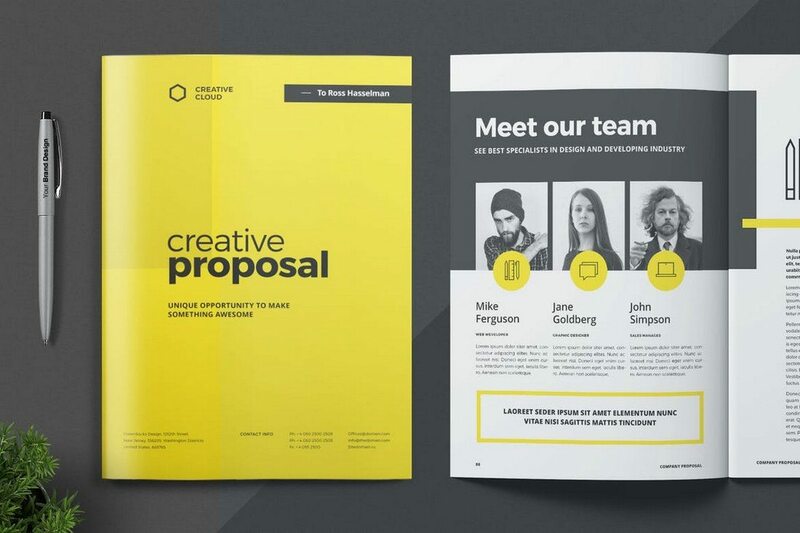 This is a creative and minimal Word brochure template made for writing professional client proposals. It comes to you in 2 sizes, A4 and US Letter. It includes 24-page designs and an additional InDesign version of the template. 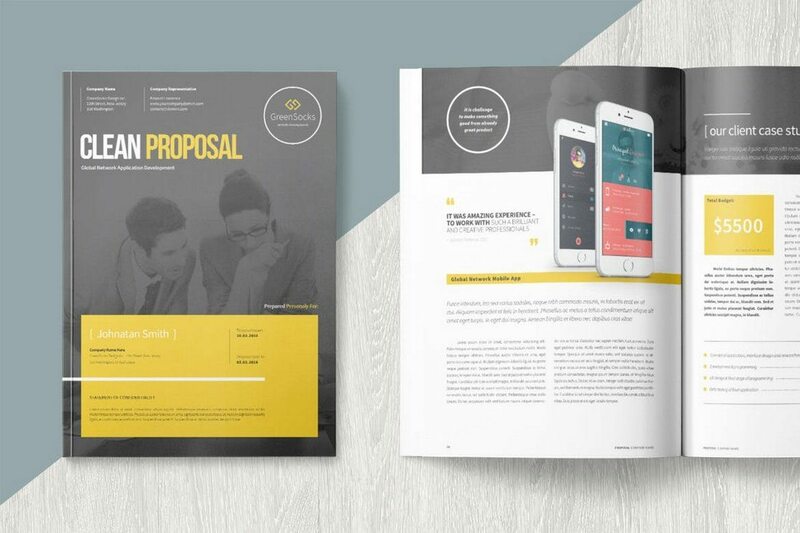 A simple and modern brochure template for creating professional project proposals. This Word template features 28 custom-designed pages in A4 and US Letter sizes. It’s also available in InDesign and Apple Page file formats. This minimalist business flyer template is perfect for creating a simple brochure to promote your business and agency. You can easily customize it using either MS Word, Photoshop, or InDesign. The template is available in A4 size. 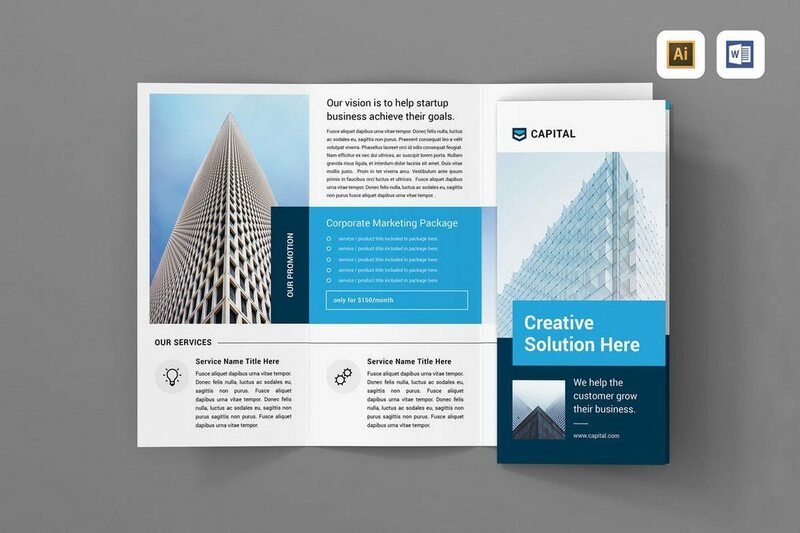 This is a professionally designed brochure template for corporate and small to medium size businesses. 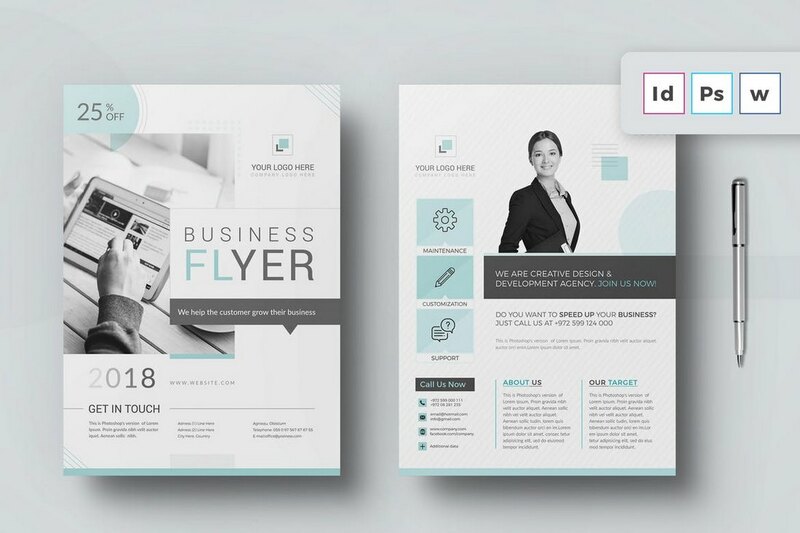 The template features 20 pages with various page designs, which can be used to craft brochures for various purposes, including business flyers and product showcases. The template is available in both Word and InDesign versions. 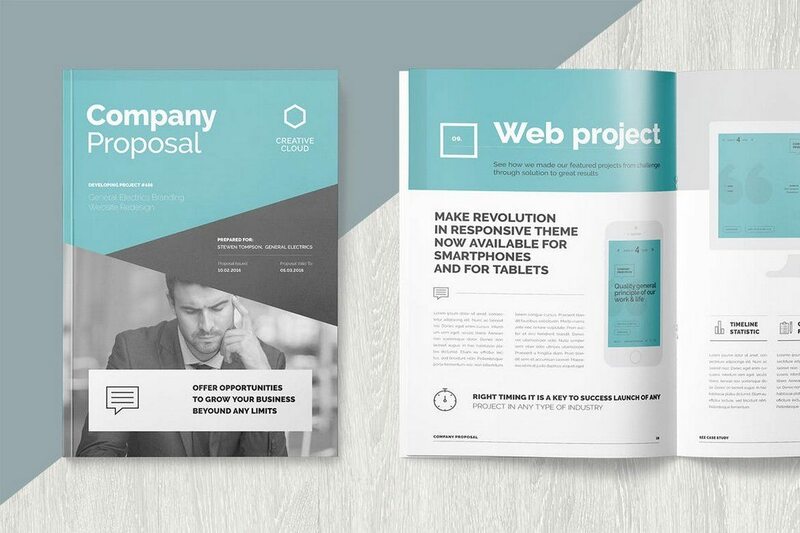 This brochure template is designed for creating project proposals. 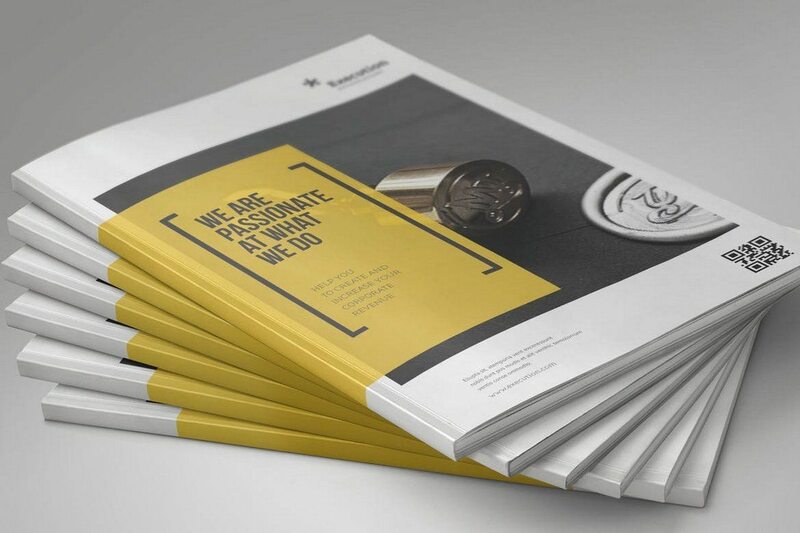 It includes a 40-page design with all the necessary elements of crafting the perfect brochure for winning over your clients. 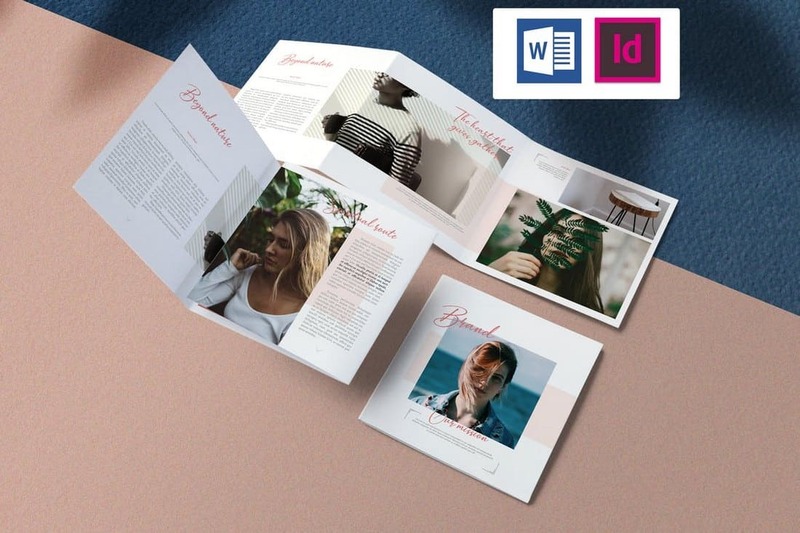 The template comes to you in Word and InDesign file formats and you can easily customize them to change colors, replace images, and backgrounds as well. Working on a case study report? Then this brochure template will come in handy. The template features 16 pages and it’s available in both A4 and US Letter sizes. You can also easily edit and customize it using InDesign and MS Word as well. 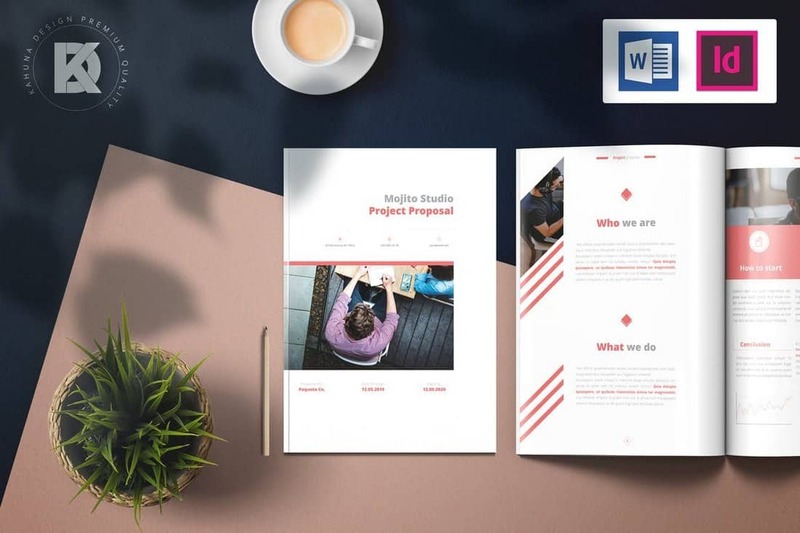 Whether you’re working on a proposal for a web design project or a new promotional budget proposal, this stylish and creative brochure template will help you get the job done like a professional. It includes a 40-page design in both A4 and US letter sizes. You can also customize and change its colors with just one-click. This is a brochure template designed specifically for showcasing products. 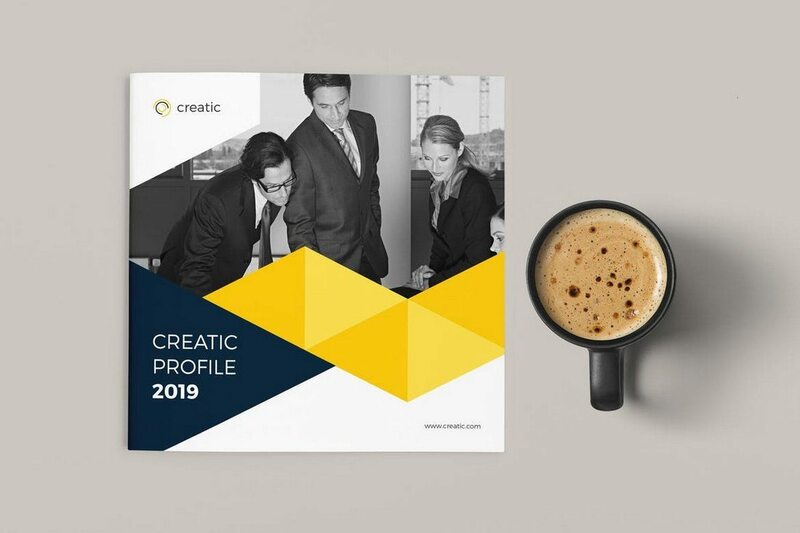 The template features an image-centric design that will allow you to easily highlight different features of your products using images to attract and win over your customers. It’s available in InDesign and MS Word file formats. 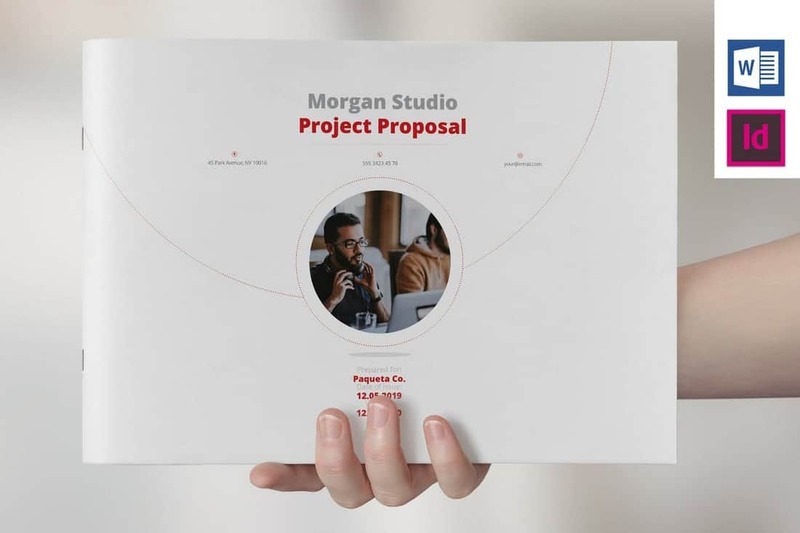 A clean and minimal proposal template that can also be used to showcase your portfolio. This template is available in MS Word, InDesign, and Apple Pages file formats for easily editing the file using your favorite app. It’s ideal for crafting a project proposal for a web design or a creative agency. This is a template designed for creating a simple flyer for showcasing your products and services. It’s most suitable for creative agencies and businesses that provide services. The flyer is a double-sided template that comes in A4 and US letter sizes. 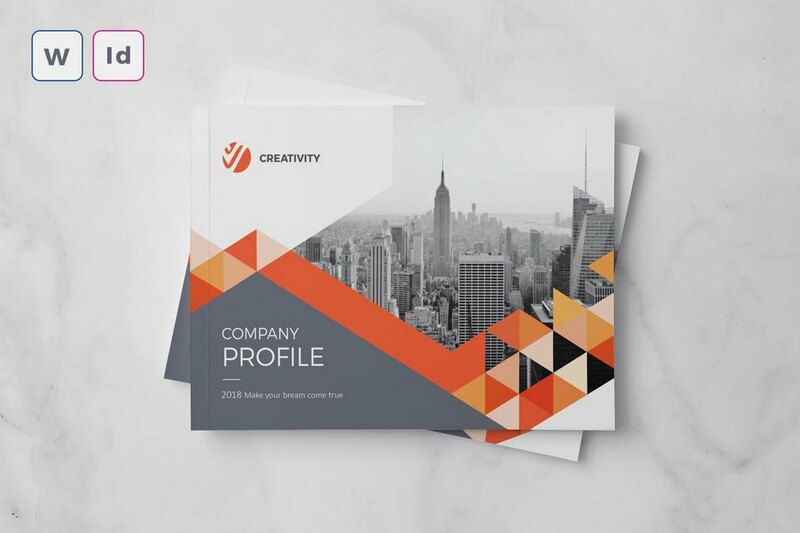 This is a multipurpose brochure template that can be used to create different types of brochures for various businesses. 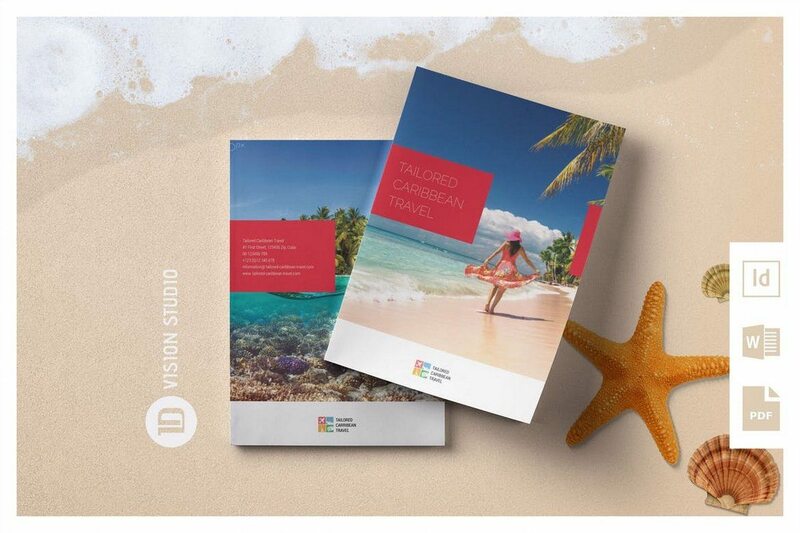 It features a 16-page design with lots of images, which makes it perfect for travel and hotel businesses. 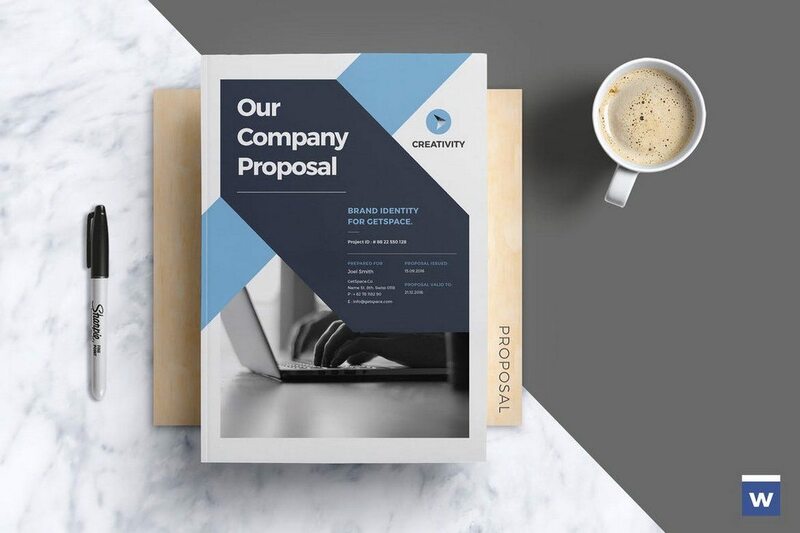 A clean and a creative proposal template that comes with a design that’s ideal for making brochures for agencies and corporate businesses, especially for product and marketing purposes. The template includes 25 pages and it’s available in both US Letter and A4 sizes. 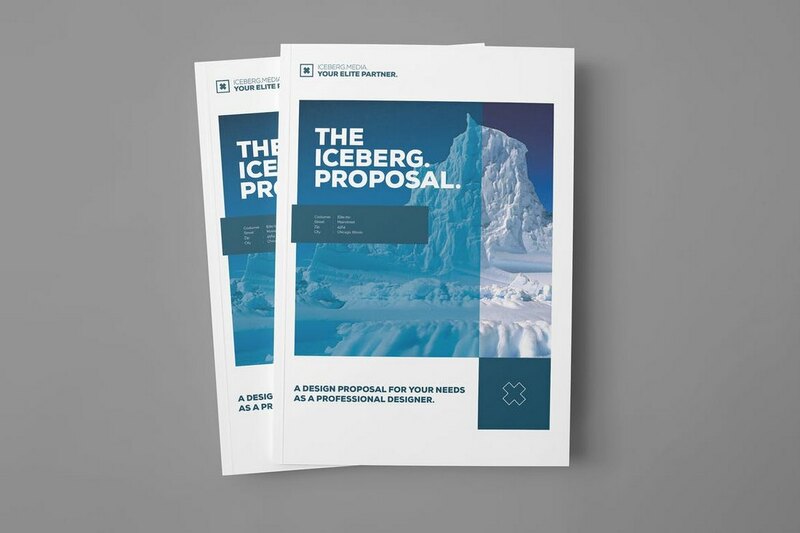 A proposal brochure template designed for brands and businesses. The template features 16-page design in A4 and US letter sizes. You can easily customize it using either MS Word or InDesign. 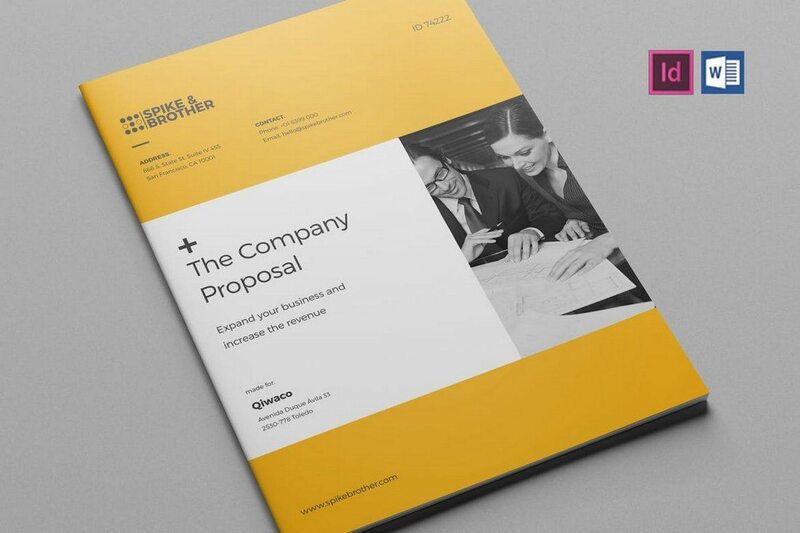 With a 32-page design complete with all sections of a brochure, this proposal template will allow you to present your business or products in a professional way. The template features a 6/12 content column grid design in easily editable Word and InDesign file formats. This is a simple brochure template that’s compatible with both MS Word and Indesign and comes in US Letter and A4 sizes. It’s ideal for creating a business or a services brochure for a small business, creative agency, or a retail business. 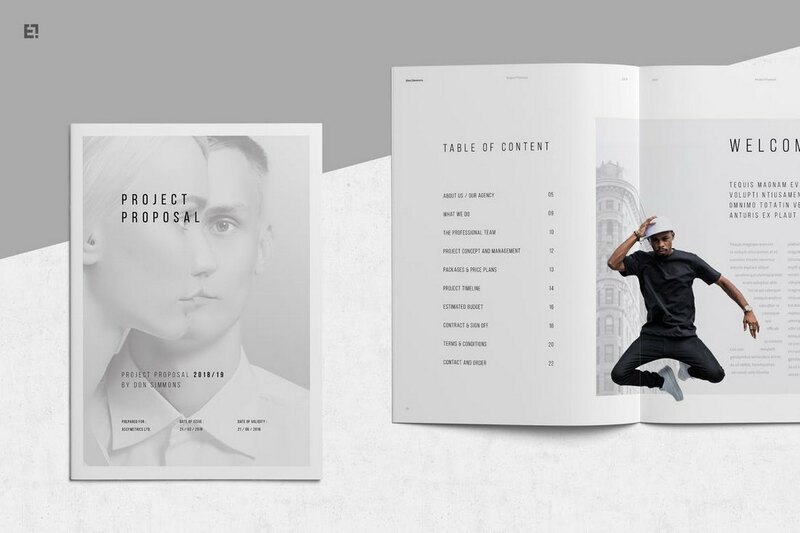 If you’re planning on publishing a brand magazine to promote your products and services or even creating a catalog for a fashion business, this template will help you get a head start. 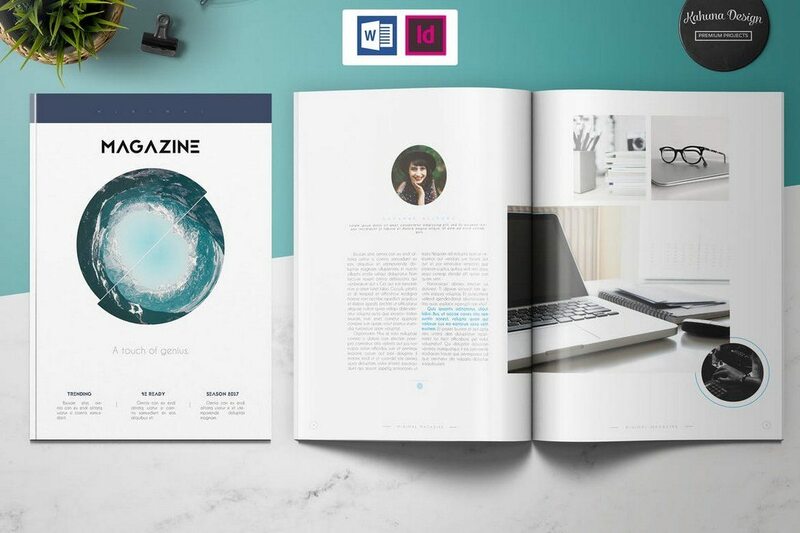 This is a minimal magazine template that comes in A4 size and it’s available in MS Word and InDesign. This is a template crafted specifically for marketing purposes. 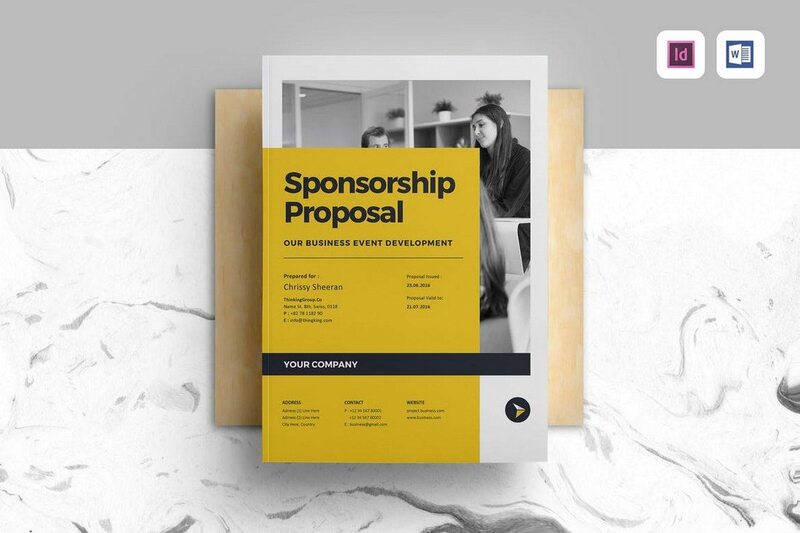 Whether you’re seeking a sponsorship or offering one, it will help you craft a winning proposal. The template features 18 pages with a fully-illustrated design. You can also easily customize it to change its colors and images. 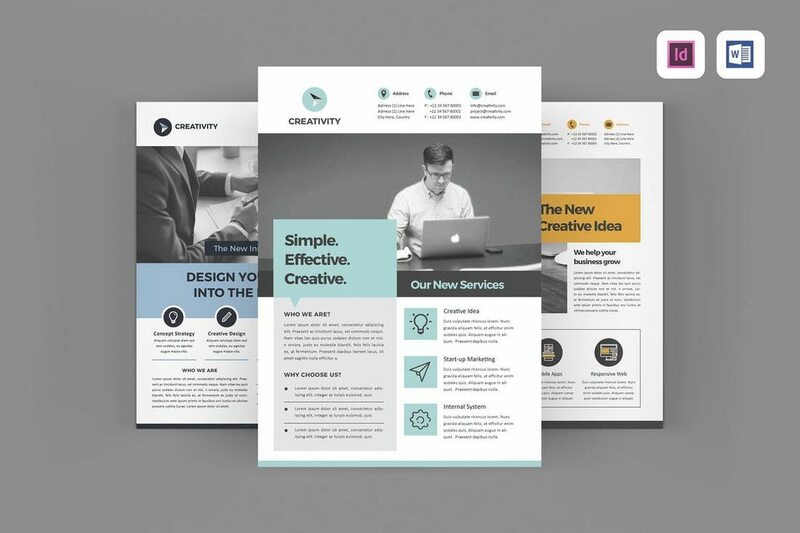 This creative brochure template is perfect for designing a brochure to promote your services or products. 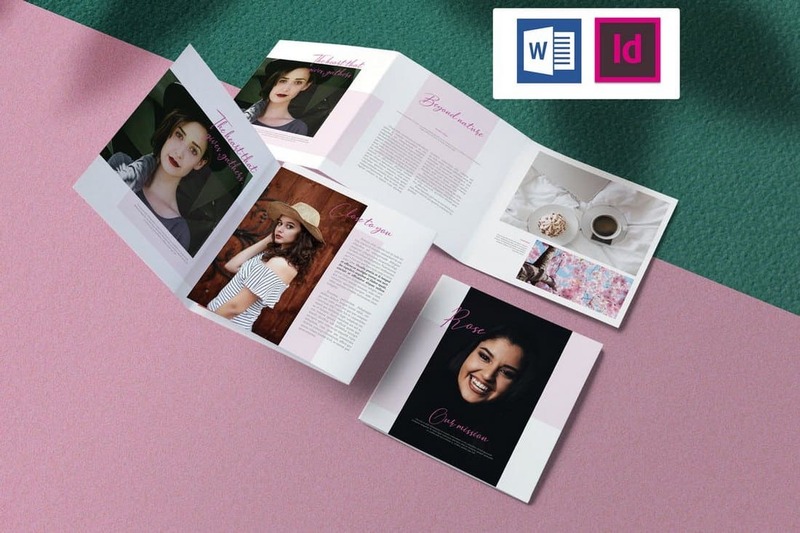 It’s available in MS Word and InDesign formats and features 26 gorgeous pages crafted with a professional design. 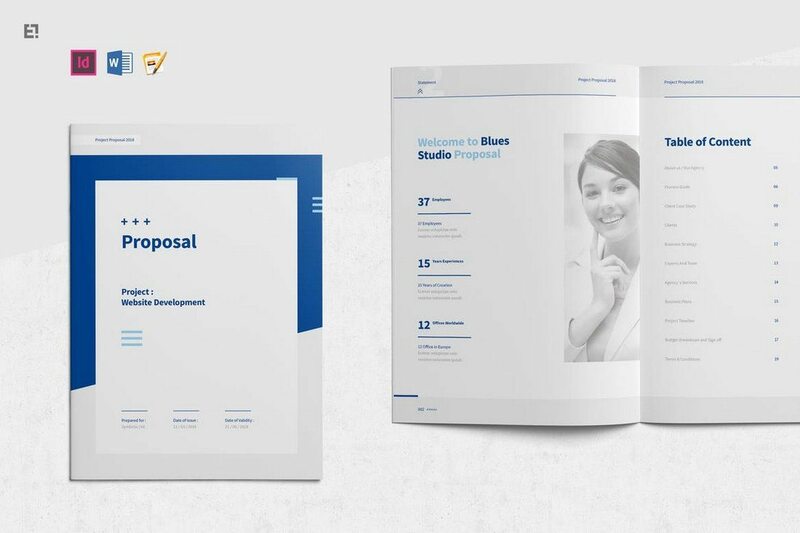 This template is a project proposal brochure that’s designed specifically for web design agencies. Although, you can also use it for promoting other types of projects and services as well. The template can be easily customized using Word or InDesign. 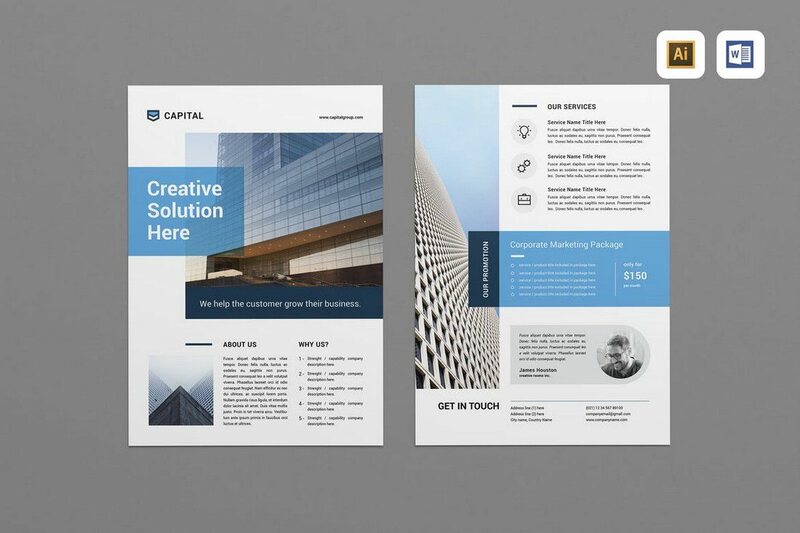 A brochure template with a tri-fold design. It’s available in the A4 size and you can edit the template using both MS Word and Adobe InDesign. The template is most suitable for marketing and creative agencies for showcasing services and talents. 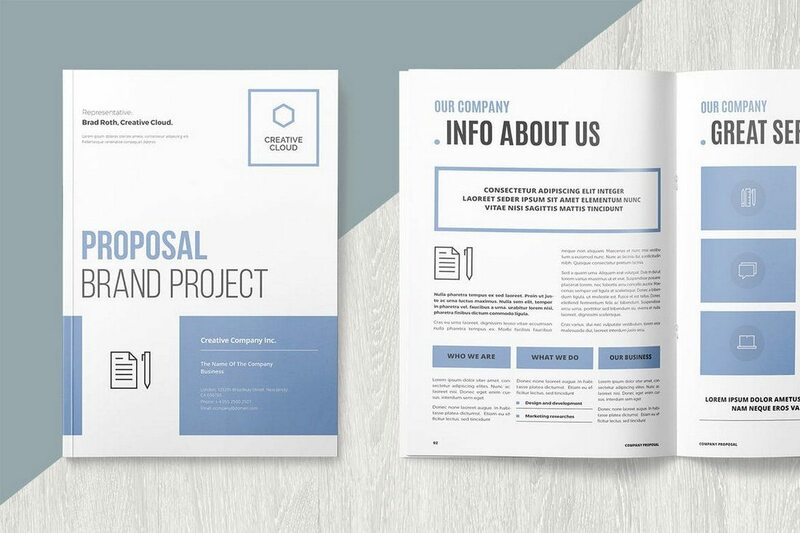 Featuring a 12 column grid, this proposal brochure template comes with a creative design. It includes 28 pages and comes in ready-to-print A4 size as well as US letter sizes. 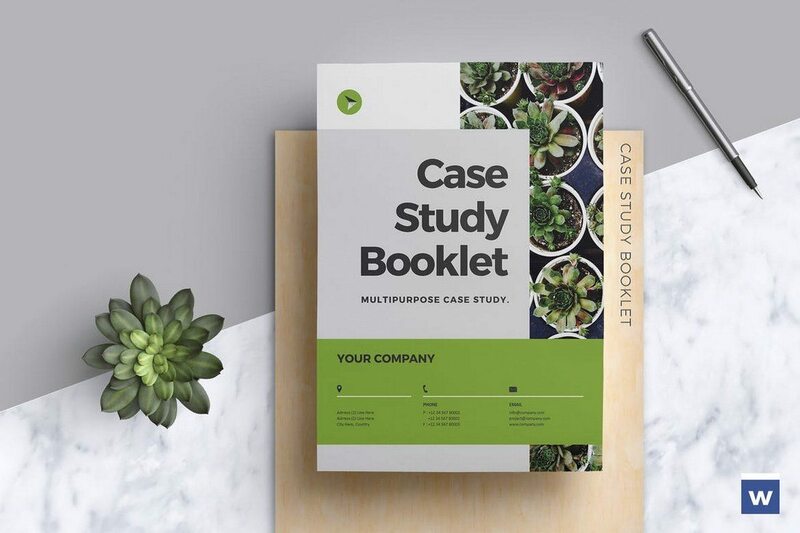 This is a tri-fold brochure template you can use for presenting your case studies to your clients and customers. The template can be easily customized using either MS Word or InDesign and it’s available in A4 size. A yet another flyer template for crafting project or business services brochure. It includes 3 different flyer designs for you to choose from, all of which are available in MS Word and InDesign file formats. This brochure template also features a trifold design and it comes in A4 and US letter sizes. The template features a minimal and a professional design that’s ideal for corporate and large businesses. 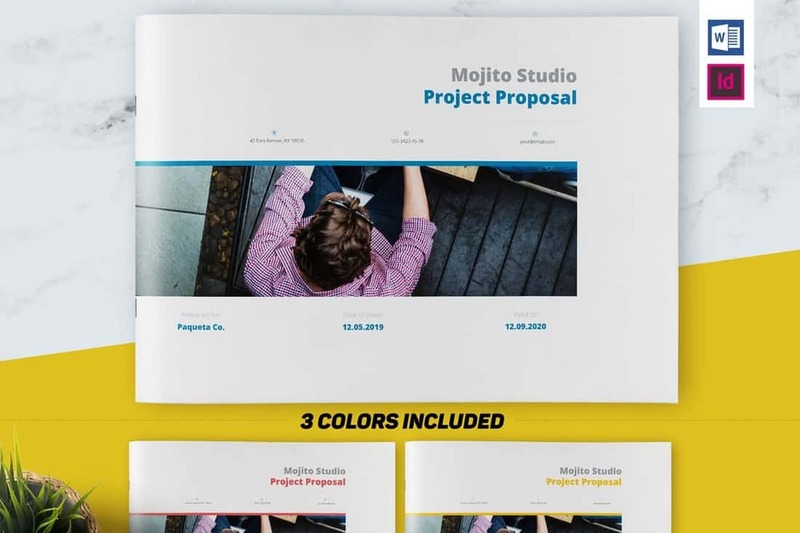 This 24-page proposal brochure template can be used to craft several different types of proposals, including creative projects, web design projects, marketing, and more. The template also features a fully-customizable grid-based layout.